Divine intervention from Regional Economic Development Minister Shane Jones and his Provincial Growth Fund was behind the Eastern Bay launch of the New Zealand Howard League for Penal Reform driving programme. The Howard League's unlicensed offenders' driving programme provides offenders the tools and access to obtain their driver's licence and avoid further offences that would result in a prison term. It began in Whangārei last year and has backing from private donors. Mike Williams, chief executive of NZ Howard League for Penal Reform, was at the launch yesterday and described Jones as "God". "We invited Shane Jones to come along to a celebration of the success we had enjoyed in Whangārei," Williams said. "At the time of the invite he was a New Zealand First candidate for Whangārei but by the time of the party he was a minister of the new Government and running round with a billion dollars his hip pocket. "Now, if you don't see the intervention of God in that, then you're not a religious person." The Provincial Growth Fund has allocated $7.5 million over three years for the driving programme, which has allowed it to be implemented in Rotorua, Tauranga and the Eastern Bay of Plenty. Driver instructors work alongside the Department of Corrections in each of the areas. Williams urged people at the launch to remember three numbers. "I want you to remember 15, 53 and 65: 15 is the percentage of New Zealand people who, when asked, say they are New Zealand Māori, 53 is the percentage of prisoners who, when asked, say they are New Zealand Māori, 65 is the percentage of Māori in our jails who started their criminal career with a driving offence. "And, once an offender starts making court appearances on driving matters, it's a hard cycle to break." He said 75 per cent of people in jail struggled to read or write, compounding the difficulty of obtaining a licence. "We all know how much harder it is to get a job if you do not have a licence." Waiariki MP Tamati Coffey said the driving programme was unique in that results were instant. "There are a lot of programmes and initiatives that take a long time to see results but not in this case," Coffey said. "We can see it almost as soon as it begins. "A lot of our whānau are in jail and they need as many chances as they can get. Having a licence is a big change in the lives of not just the offender, but also their whānau." Testament to that was Watene (no last name was given), who is on the programme. "I'm not just doing this for myself, I'm doing it for my tamariki and my mokopuna. I'm going to get my licence and I'm going to keep it." 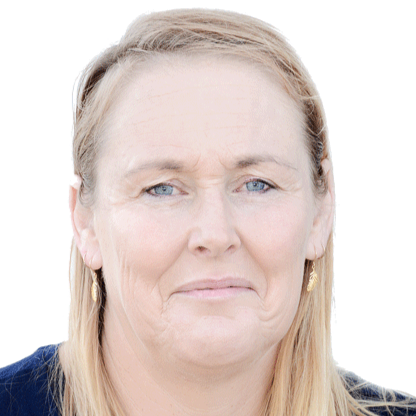 Driving instructor Jennie Michie, who had been working with the Howard League for the past two and a half years, has been instrumental in establishing the Bay of Plenty programmes and operates from Whakatāne. She told people she had a sense of pride when a client got their licence. "Since we started in September, 40 people in the Eastern Bay have got their licence through the programme," Michie said. "And it will keep getting better." "It's not an easy thing for many of them to do. For most, it is the first time they have been learning or taking on an exam in a very long time. But their sense of achievement is huge." Brothers Rawiri and Tipu Daniels are the Rotorua and Tauranga instructors respectively. Rotorua has 50 people at various stages of gaining their licence.